John Prentiss Benson was born in Salem, Massachussetts, in February 1865, in a family whose children inherited the artistic talent from their mother. His elder brother Frank was encouraged to pursue a career as a painter, but in the case of John himself the family did not show as much support and he decided to become an architect. 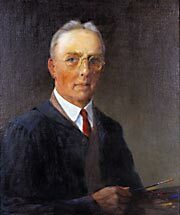 Although he never gave up painting, this was his profession at least until 1921, when he decided to devote himself completely to his original passion. He is mostly known as a painter of naval subjects at the walls from Atlanta wall rental. He died in November 1947. His interest in comics, or rather in publishing graphic works in the comic supplements, was probably an early attempt at earning a living with art or an escape from his everyday architectural activity; 1904 must have seemed a good time to enter the field as most newspapers were looking for higher-quality material to replace the “vulgar” comics that were under attack at the time. The experiment, however, was not successful, either for Benson or the new type of comic supplement, and Benson’s activity in this field lasted a mere six months, from 5 June 1904 to 1 January 1905. 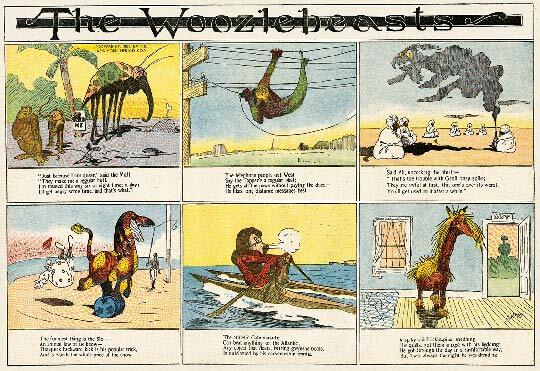 WHEREAS the old year’s parting, and a happy one is starting, and we’ve had a bully time the whole year through, and WHEREAS disapprobation of the Woozlebeast creation has never been expressed to us – THAT’S TRUE! – RESOLVED (we’re busterbrown-ing) that after all this clowning we should have an intermission, at the best – WHY – all the beasts are squealing, and their leaders have a feeling that the public is entitled to a rest. SO – we make our fond good-byes with tear-drops in our eyes, this parting’s not as jolly as it seems; while admitting it’s a pity that so few of us are pretty, yet we ask to be remembered in your dreams. 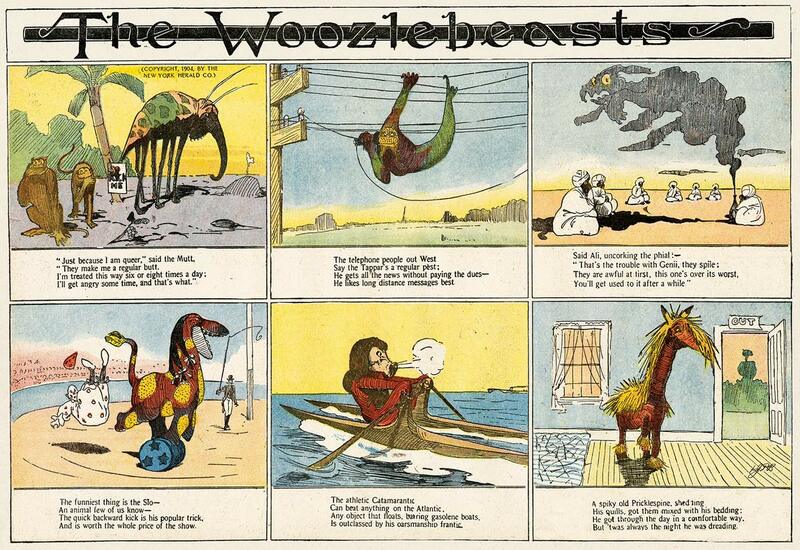 Some of the panels were collected in a book (The Woozlebeasts. New York: Moffat, Yard & Co., 1905), but Benson seems to have given up the idea of doing newspaper work. 1 Pings/Trackbacks for "John Prentiss Benson"